A fairy tale set in the forests of 19th century Scandinavia, this book collects the third chapter of the webcomic “Hemlock” into printed format. A fairy tale set in the forests of 19th century Scandinavia, following the life of a witch named Lumi and her unfortunate familiar Tristan. 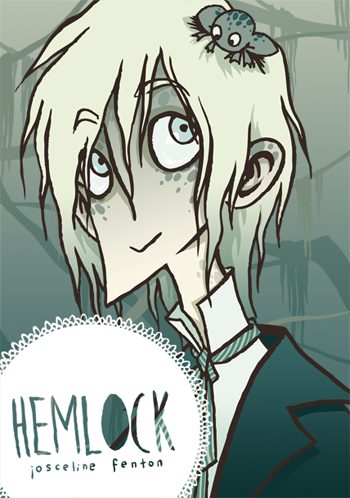 This book collects the third chapter of the webcomic “Hemlock” into printed format. Nominated for the “Best Comic” award at the British Comic Awards 2012. Sold and dispatched through Lulu.com, printed on demand – shipping will be worked out by Lulu.